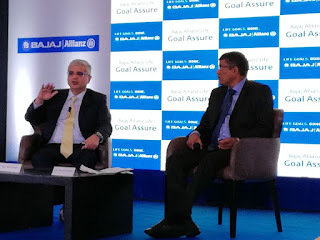 MUMBAI, 19 February, 2018: Bajaj Allianz Life Insurance Company Ltd., one of India’s leading private life insurer, launched a value-packed goal-based Unit-Linked Insurance Plan (ULIP) Bajaj Allianz Life Goal Assure, today. This new age ULIP has been designed to provide investment benefits and life cover to the life maximizers, the new generation of investors in India. The new ULIP brings with it two unique benefits that are one-of-their-kinds for a ULIP in India. The Return of Mortality Charges (ROMC) feature of Bajaj Allianz Life Goal Assure guarantees that a policyholder will get back the cost of the life cover when the policy matures, thus enhancing the value of their corpus on maturity. Furthermore, at maturity, the customer who opts to receive the maturity benefit in installments (and not lump-sum) over a period of five years will receive the benefit ofReturn Enhancer which is an addition of 0.5% of each due installment. During this period, the customer’s fund value will continue to participate in the fund(s) of his/her choice. 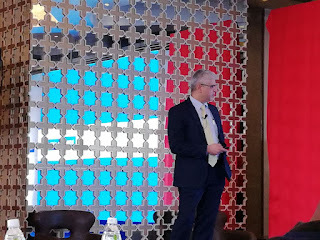 Value Packed Benefits: In addition to ROMC and Return Enhancer, Bajaj Allianz Life Goal Assure also provides Fund Booster. It is an additional amount added to the Fund Value on the date of maturity of the policy. Other key features of the new ULIP include Loyalty Additions for paying premium regularly and staying invested in the policy. It is applicable for Annualized Premium of INR 5 lakh or more, and for policy terms of 10 years and above. There are also options to decrease Sum Assured, change Premium Payment Term, and unlimited free switches between funds for customers of the new age ULIP. To further enhance the value packed benefits customers will also enjoy tax benefits under section 80C and 10(10D). Reliable Investment Performance Record: The ULIP Funds of Bajaj Allianz Life Insurance have consistently delivered one of the best CAGR returns, beating the benchmark indices over a longer horizon of three, five and ten years. Further, most of its funds enjoy high ratings from the coveted Morning Star rating agency. Convenience: Designed for customers who are now more tech aware Bajaj Allianz Life Goal Assure is available online. The company has revamped its websitewww.bajajallianzlife.com to make it more intuitive and offer customers a simplified and convenient purchase journey. Customers can make informed decisions using tools such as Risk Xplorer, Goal-based journey, Returns Calculator and much more. The website is designed to guide customers through every step of their LifeGoals planning and purchase.